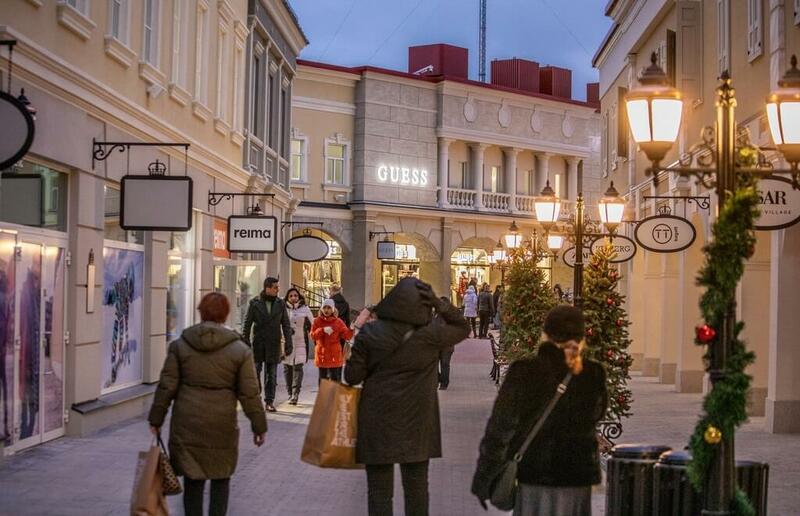 The Zsar Outlet Village was opened at the Torfyanovka – Vaalimaa border crossing point of the Russian-Finnish border on November 29. That’s a collection of premium and luxury brands’ boutiques selling their expensive and glamour goods at 30-70% discounts. In future, the number of brands will exceed one hundred. Interestingly, that some of brands, for example, Armani, Flavio Castellani and Osprey London, launched their first shops in Finland at the Zsar. Right now, the village works in a soft mode with some boutiques and facilities still being in the making and looking for personnel. The Torfyanovka – Vaalimaa point is right on your way from St. Petersburg to Helsinki or vice versa. It’s located only half a kilometer from the Vaalimaa point on the Finnish side. Getting there from St. Petersburg takes three – four hours, from Helsinki – nearly an hour via the E18 motorway. For a ride from St. Petersburg it’s recommended to use Lux Express coach service. Buses depart from the Central Coach Station (36, Obvodny Canal embankment) four times a day and stop near the outlet village.